Where would this blog be without Rob MacDonald and his camera? This one is me going round Fallow on all four wheels and not on the grass. 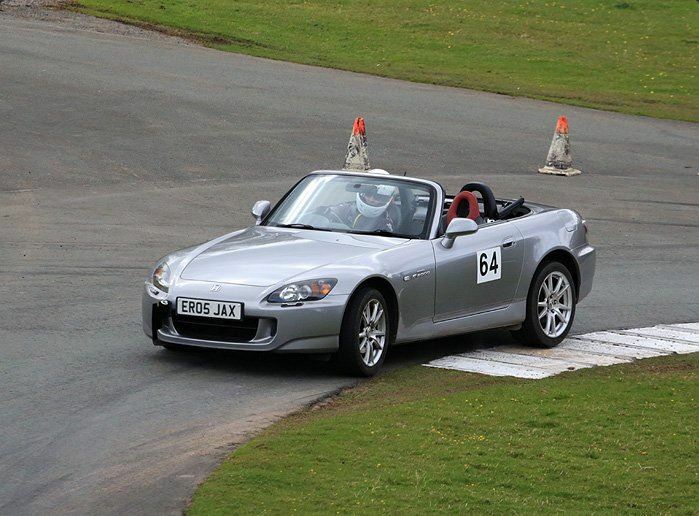 So, following on from yesterday… I was in the S2000 for Sunday’s event. This was interesting but a little frustrating because it meant no championship points for Round 6 of the HSA Championship nor for Round 2 of the Allswage Loton Park Championship as I was not competing in the car which I had entered. And of course I got no points on Saturday as I was unable to compete at all. All in all not a great start to the season. A bit like Hamilton’s. 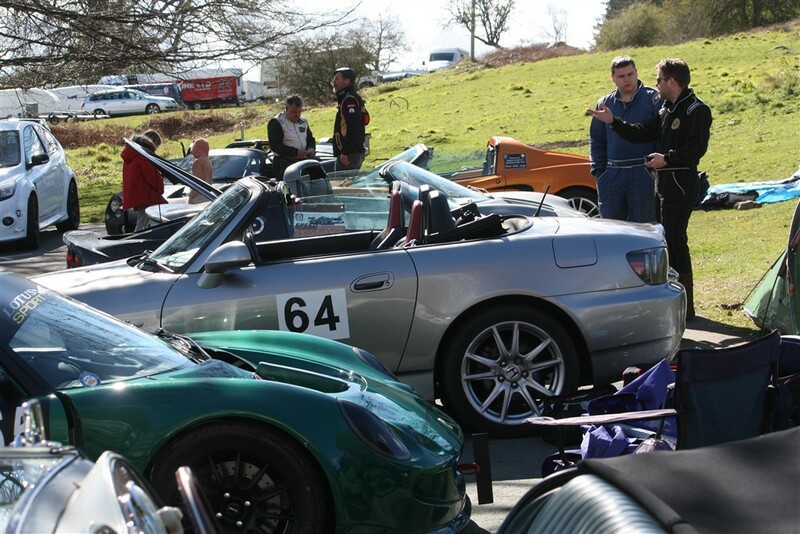 Missing the first rounds of the Loton Championship is the biggest blow as there are only eight rounds and all count. The HSA Championship has 32 rounds with the best 9 counting. However, I was planning on doing only four local rounds which I could drive to (rather than trailering) and trying to win the Peter Stevens Memorial Trophy (best result from only four rounds). Anyway, as I say, it was interesting driving the S2000. Interesting because the S2000 produces its power between 6000 and 9000 revs, whereas my Lotus is a like a steam train from 1000 revs all the way up to 8000. So driving the S2000 fast requires a whole different technique and I didn’t manage to perfect keeping within this rev band in the four runs I had up the hill. It was also very strange to drive without a safety harness and in a car with standard (soft) suspension, which meant that I was not able to keep my foot down the whole way up Cedar Straight. It was also interesting as it reminded me of my MX5 days and how easy it is to arrive and drive in a car with a boot and interior space. A far cry from the Lotus which has so little space for either my stuff or myself. I think that after Saint Goueno at the end of May I’ll look at changing the Lotus for something more usable on the roads. 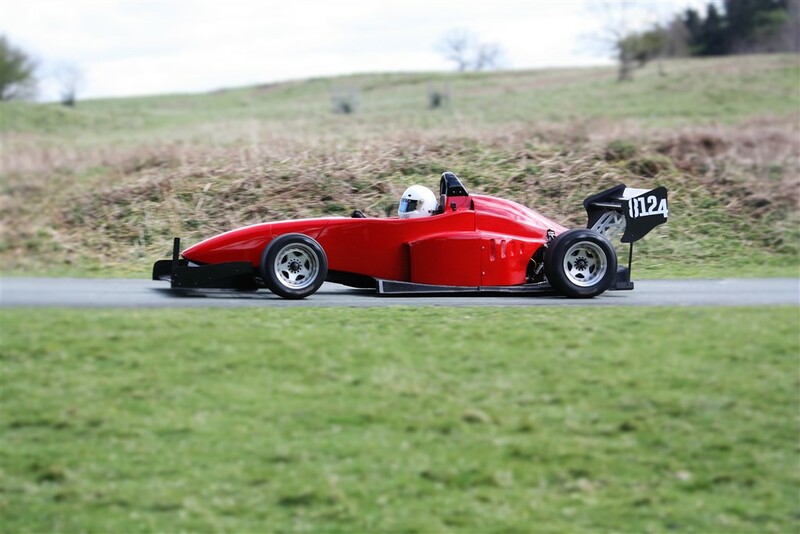 Even though I was unable to gain championship points, it was, as always, good fun to be at Loton and as the Honda has a good old fashioned steel chassis I was able to return to the ‘Roadgoing up to Two Litre’ Class. 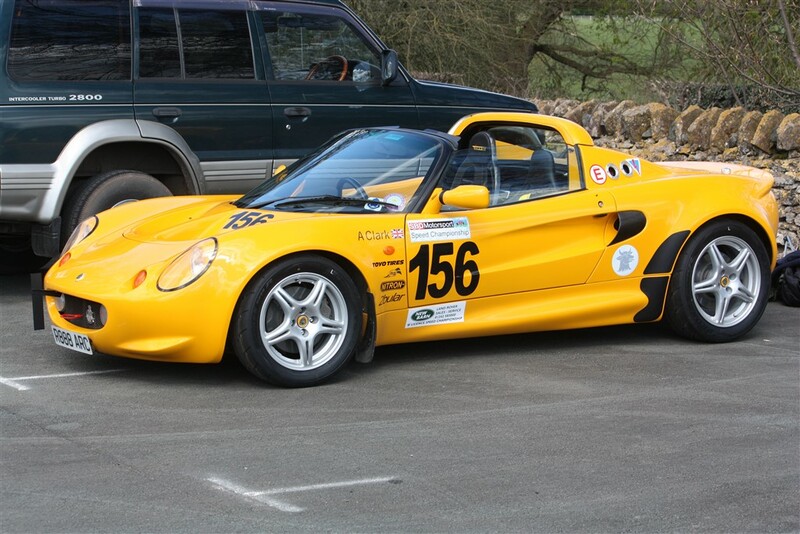 The Lotus, this year, is in a separate class at Loton for non-ferrous chassis cars that seems to include both roadgoing and modified production cars. It doesn’t matter too much to me since the event classes do not affect either of the two championships I am in, but it does seem a bit odd. My best time of the day was in second practice with a 70.46 (about ten seconds slower than the Lotus) and my best in competition was 71.40, which was almost last. 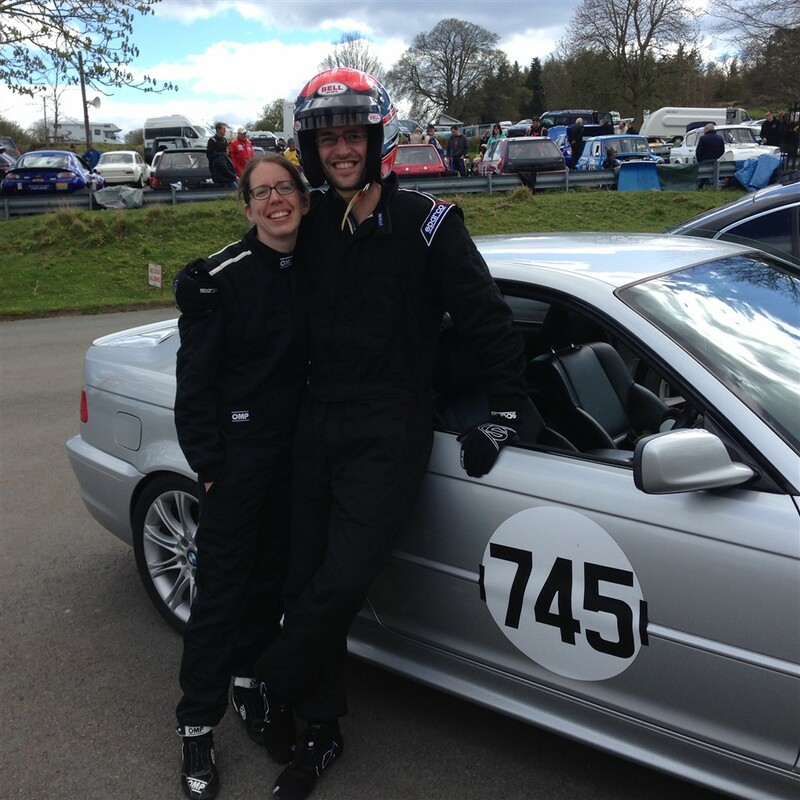 Rachel Gascoigne and Michael Tindale (with a PB of 70.56) both relished the fact that they had beaten an S2000 (and me of course), but to be fair both drove really well and I was too cautious. Still, I was just happy to have completed the four runs without incident and been able to return the car to Jacqui in one piece. My next outing is the National weekend on 14/15 May, assuming the Elise is fixed and my entry is accepted. Here are a few photos. I have uploaded others to the HSA Facebook Group page. The HSA report will follow shortly (tomorrow) on the HSA website. Simon Andrews on his way to a class win. Sarah and Colin Davies in their second year with the HSA. My S2000 amongst the Lotus.